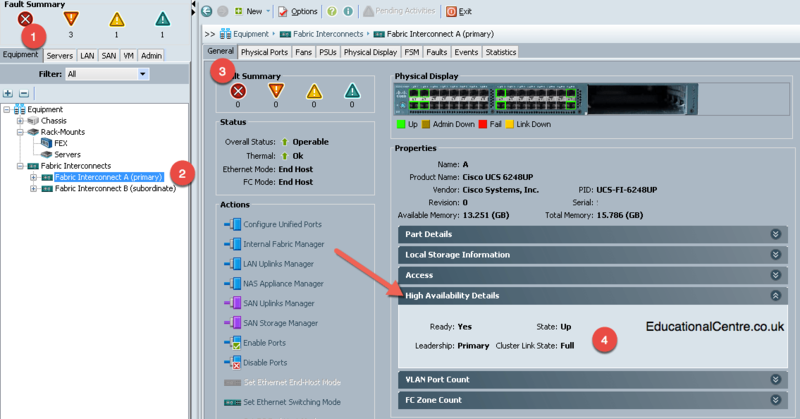 My previous posts in the series covered getting the Cisco UCS up and running and into production, and it seems that adding how to upgrade the Firmware on the UCS at the end of the series is best, as you will find yourself needing to do this once the system is in production as well. Note: Many thanks to Rene again for this simple post helping me through the steps. 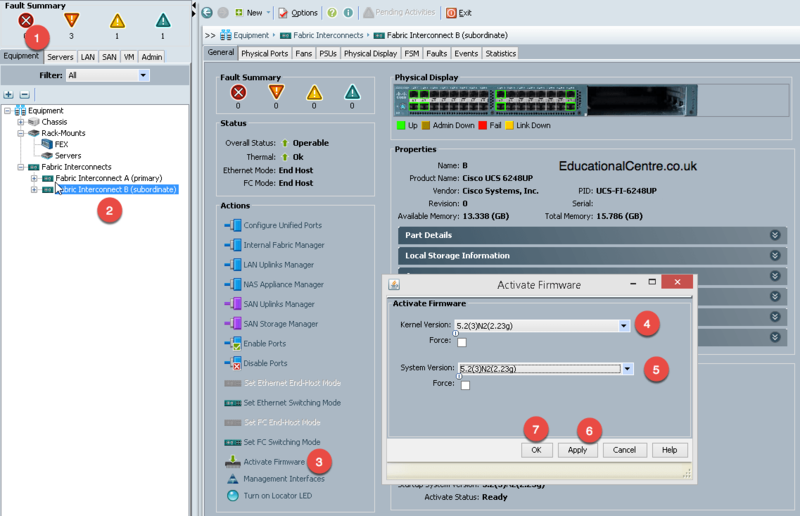 Note2: It’s also worth looking through this short article on the do’s and don’t of UCS Firmware updates, from a session held at Cisco Live 2014. 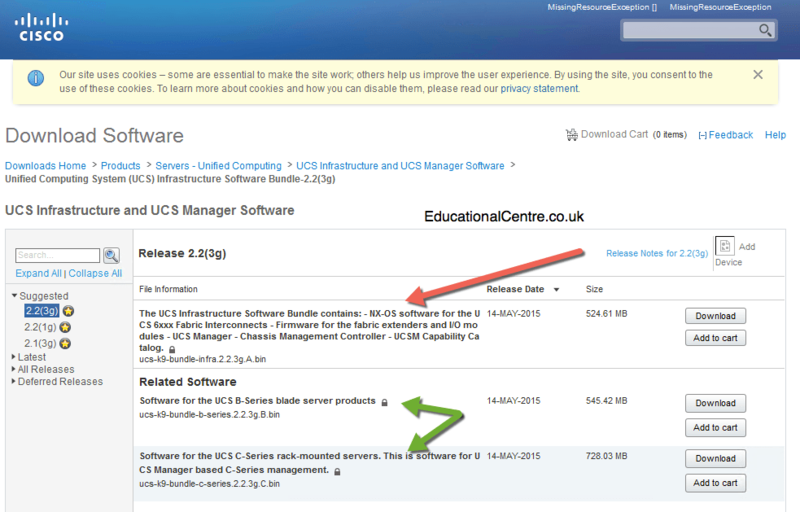 Head over to Cisco’s software pages and look for the “Unified Computing” section. 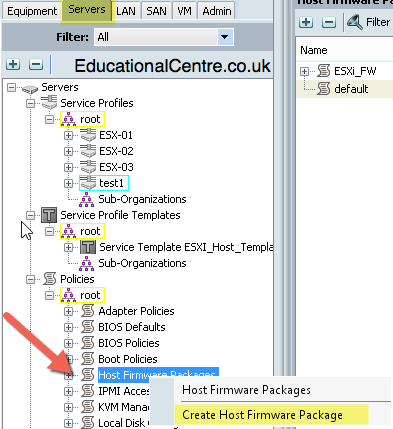 Below you can see I’ve downloaded the full infrastructure firmware, which covers the UCS Manager and Fabric Interconnects, you’ll also need to download just the B/C series firmware if needed. 3a. Or you can select the “Download tasks” Tab and download the firmware on that screen. 4. Select your file to upload and click ok. You will be show a progress bar and confirmation dialog when the file is uploaded. 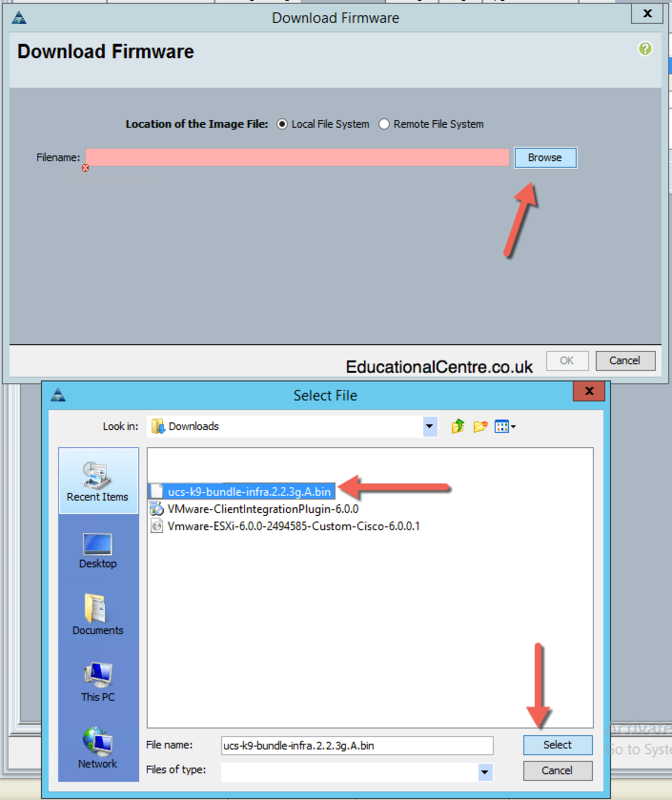 Above you can see the new file added to the system, you can also delete it here by clicking the file, and then in the details pane below using the delete button. This process will take a few minutes, and disconnect your java application, you’ll need to reconnect again and download the new java file app. Check your version has changed once you reconnect. 3. Click on your subordinate FI > Active Firmware > Select the updated firmware > Click Apply and OK. The firmware will start updating, you can check progress under the FSM tab. According to Rene’s post, this will take around 16 minutes to complete. 4. Once your subordinate FI is up and running, do the same for the Primary. All switching will automatically flip over as configured. 5. You can click on Equipment Object > Firmware Management > Installed Firmware, to confirm that the components have upgraded successfully. 1. You need to create a Host Firmware Package Policy, which will be used on your Service Profiles linked to the servers you need to update. 2. Put your Servers OS in maintenance mode, or turn it off. 3. 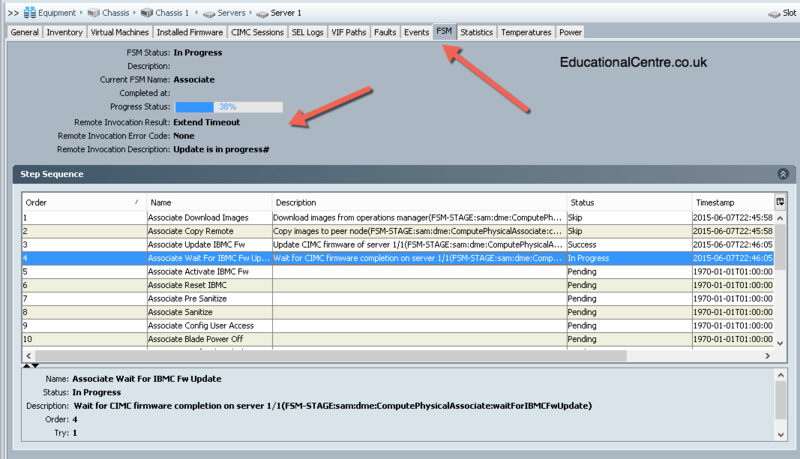 Go to the Service Profile for your server > Policies > Firmware Policies > Change for the new one you created in Step 1. Note: This process could take a while to complete, keep an eye on the progress in the FSM tab. 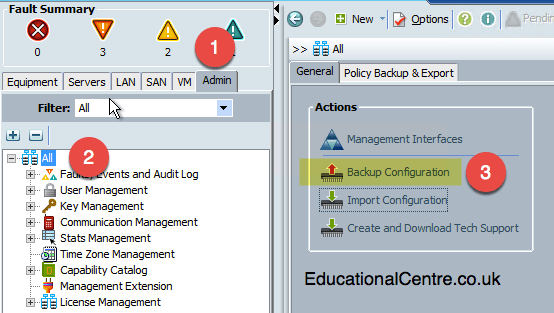 Coming from another UCS/VMware admin: EXCELLENT WORK! I am passing this to my team as required reading. 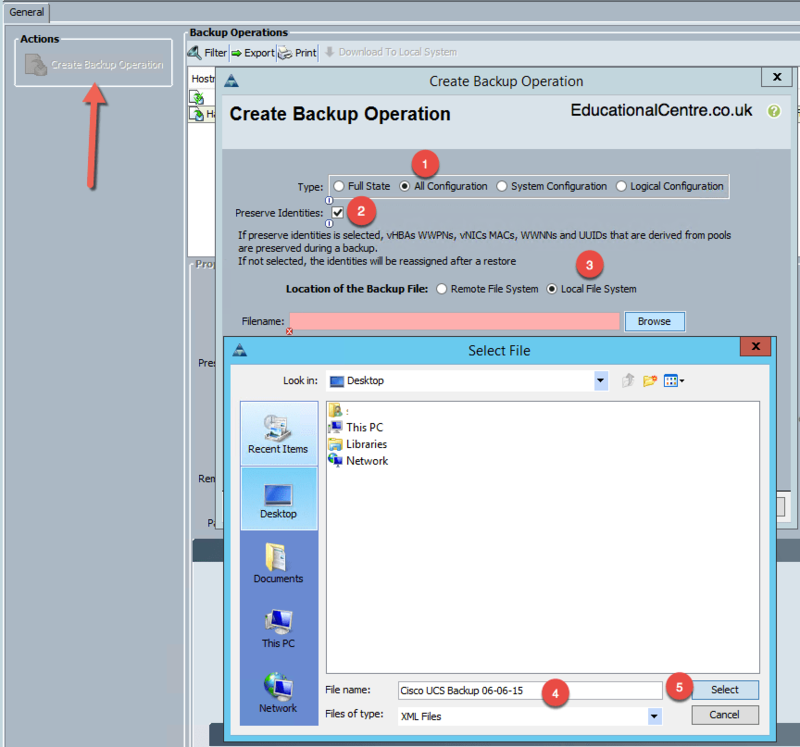 Cheers, this is fantastic to here from someone else who manages Cisco UCS and VMware environments on a day to day basis, I’m really glad you’ve found it useful and passing it onto your team. Very not bad guide for sure. I would suggest getting familiar with the Firmware Auto Installer that shipped with 2.1(x) code. Unless you’re upgrading from 2.0(x) to 2.1(x), there is no reason to use the Download, Update, Activate method. Just hit up the Equipment tab, highlight the root of the Equipment tree, find the Firmware Management tab on the right, select Firmware Auto Install below that and then poke Install Infrastructure Firmware. Select the desired version in the drop down, check Upgrade Now, say Finish/OK and … profit! 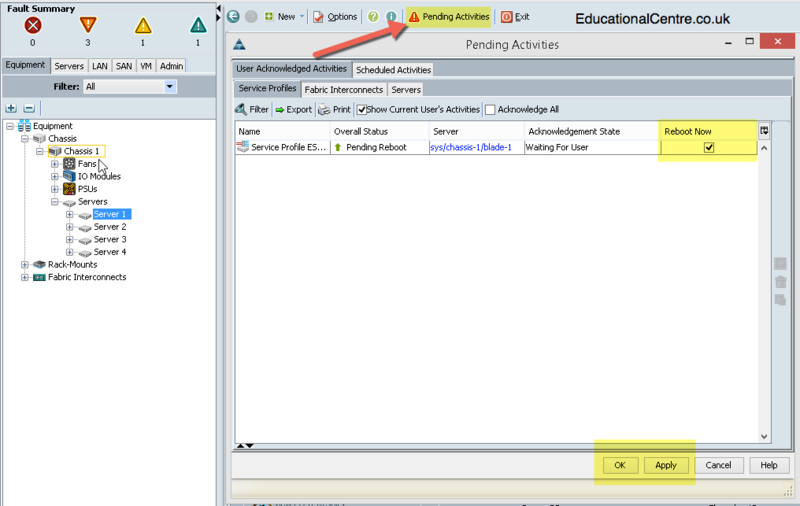 You’ll get a Pending Activity when the subordinate FI/IOMs have finished upgrading. At that point, check your storage paths and network connectivity within the OS on the servers, then kick off the Primary FI upgrade. I’ve been using this update method exclusively across my customer base for 2+ years now and I thoroughly recommend it. Heck, most of the time we kick it off before we go to lunch, then do the primary FI after we get back. Firmware Auto Install FTW!! Also, when it comes to blade firmware, rather than updating the Host Firmware Package within the Service Profile template, instead I like to create a Package called “Latest_ESXi” to use in my template and then simply update the firmware level in the package rather than creating a new package each time. Lots of ways to skin a cat here, that’s for sure. Just my $0.02 from a few years of field experience. Great guide, I hope more folks see it and can cut through the FUD spread by the competition. UCS may be a BIT more complex, but much like VMware did for the OS, the logical abstraction of hardware identifiers within UCS provides flexibility, power and configuration consistency!